On the direction of H.E. 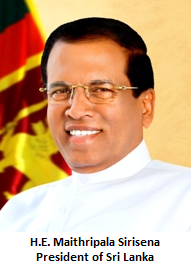 the President Maithripala Sirisena and Hon. Prime Minister, Ranil Wickremesinghe, Hon. Minister Karunanayake directed the Foreign Ministry to respond to the emergency needs of the flood victims in coordination with the Ministry of Disaster Management. 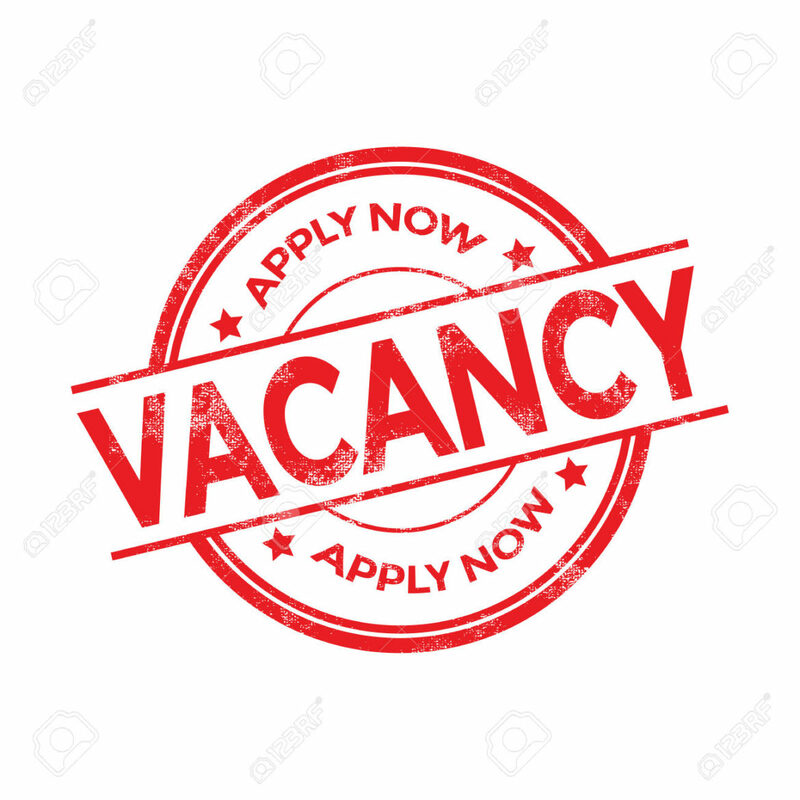 The Ministry Emergency Response Unit, activated on 26th May 2017, to coordinate international Search and Rescue and Disaster Relief measures, launched an appeal to the INSARG (International Search and Rescue Group) through the UN. The Foreign Ministry also appealed to countries in the region to obtain the services of Emergency Rescue Teams. In response to Sri Lanka’s appeal, India immediately dispatched its naval ships “INS KIRCH”, “INS SHARDUL”, “INS Jalshawa” along with Search and Rescue teams and emergency relief materials. Pakistani Naval Ship “ZULFIQUAR” called at Colombo port as well with rescue teams and relief materials. Three Chinese vessels “Chang Chun”, “Jing Zhou” and “Chao Hu” which were originally on a goodwill mission to Sri Lanka and visited Colombo port on 1st June 2017, have changed their mission focus to relief measures. A Humanitarian Assistance Chinese Flight with relief materials is due to arrive on 3rd of June 2017 at Bandaranaike International Airport (BIA). While Australia donated ten Zodiac inflatable boats to Sri Lanka, Japan handed over essential relief materials to the Disaster Management Ministry and offered the services of an Emergency Disaster Relief expert. Israel donated a consignment of relief goods. The EU, Norway, the US, Thailand and several other countries have offered assistance to Sri Lanka while Singapore, the Maldives and Nepal announced cash donations. Acting upon Sri Lanka’s appeal, the UN coordinated the international deployment of Search and Rescue (SAR) teams. 17 SAR teams, including India, China, France and Australia, were placed on alert to handle any adverse situation. The UN Agencies have also deployed their teams in disaster areas to work with the respective line Ministries and Agencies. The Foreign Ministry also directed its Overseas Missions to coordinate relief activities with Sri Lankan expatriates and community members. Minister Karunanayake, at his first briefing session held for the Diplomatic Community and Honorary Consular Corps on 31st May 2017, thanked the countries for their generous and timely assistance. He also expressed his gratitude to the countries that sent messages of sympathy and expressed support for the people of Sri Lanka at this difficult time. The Minister highlighted the challenges that lay ahead of Sri Lanka in handling the post flood recovery, reconstruction of affected areas, as well as building capacity for the Prevention and Mitigation of future disasters. He underlined the cooperation and assistance that Sri Lanka would expect from its bilateral and multilateral partners in implementing projects in these areas. Minister Karunanayake reiterated that under his stewardship, Sri Lanka will pursue the policy of “Friendship with all and enmity with none”. Acknowledging the success made by the country in the area of Foreign Relations with its partners, under the stewardship of former Minister of Foreign Affairs Hon. Mangala Samaraweera, the Minister assured the Diplomatic Community that he would strive to build on the success of his predecessor. Minister Karunanayake further affirmed that he would seek to translate the prevailing positive climate into securing economic benefits for the country by focussing more on commercial diplomacy through the Ministry of Foreign Affairs. State Minister of Foreign Affairs Hon. 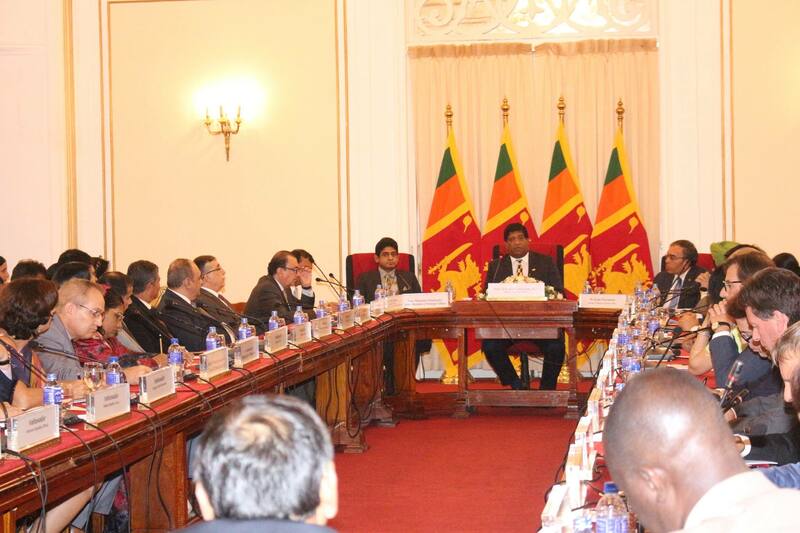 Vasantha Senanayake also addressed the Diplomatic Community and expressed his desire to work with them very closely.